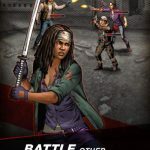 The Walking Dead: Road to Survival is Scopely’s newest title based on the graphic novel and television series of the same name, and you can now get it for your iOS and Android phone or tablet. 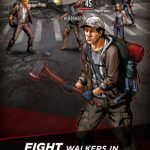 And just as we told you last time, it is a role-playing game with a lot of vintage RPG mechanics, but with some of the best-loved Walking Dead characters and a rather unusual premise as far as RPGs go – you’re trying to stop the evil Governor as you kill hordes of zombies, and even other survivors. 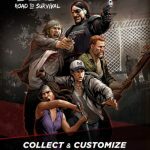 Previously, we shared some general The Walking Dead: Road to Survival tips and tricks, and we had also told you about where you can find most of the ingredients and gear that you need to level up your survivors. 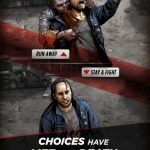 Now, we’re going to move on to another topic – how can you get more rare characters in The Walking Dead: Road to Survival. By this we mean more characters with three-star ratings or higher, as opposed to common characters who have only one or two stars to their names. This is one of the better ways to achieve this goal, as you’ll get yourself Supporter Tokens if your team’s leader is hired by other members of your faction in Roadmap or World Map missions. Tokens can then be used to open Basic Reward characters and weapons, though we must warn you that you’ll usually end up with more common characters and weapons. Still, there’s a small chance some three-star items and characters may be available, and this is still quite an easy way to get them at the end of the day. The above means is not the easiest way to get three-star or better characters. Rather, spending your coins is – if you’ve got enough coins on you, or if you’re willing to exert some effort in earning more coins, you can pay for some rare characters. You can get one by paying 250 coins, but if you’d rather buy in bulk, that could save you some coins in the long run – the price for a pack of ten is 2,200 coins, essentially 220 coins per character. After unlocking the Road Map, you’ll be able to win yourself some additional coins, and your rewards may also include rare characters. Once again, the chances of getting something or someone rare is quite low, but at least there’s a chance. Likewise, winning a tournament could earn you some additional coins for free; actively raid other human players so you can increase your rank and improve the quality of your rewards, which, once again, may include a few three-star or better characters, with some of them selling at lower prices. Special events could give you similar rewards as well. Last, but not the least, you can get three-star characters if you upgrade your Training Ground, though like in most of the other tips mentioned above, the chances of getting three-star or better characters are still relatively low.